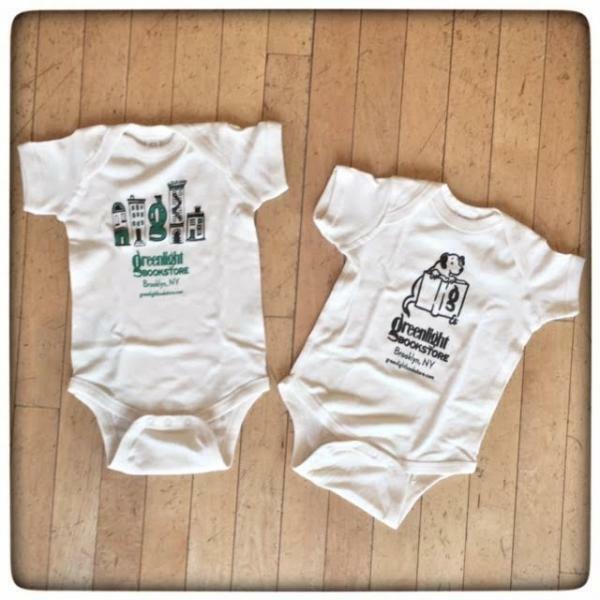 Wrap your favorite baby in a sweet onesie celebrating books and community! To celebrate our fifth birthday in October 2014, we asked two of our favorite children's book illustrator to create special new designs for our kids clothing! Selina Alko (B is for Brooklyn) created a Brooklyn streetscape, with our iconic G as part of the neighborhood. Elisha Cooper (Train, Farm, etc.) channeled our love of local dogs to create a very literate canine. Click on thumbnails to see larger design images.